Andrew A Bryant Services was established in 1991…in order to better serve myself..and in order to better serve the world that I share. Problem-solving is my passion. My ambition is to continue to produce high quality work for organizations and individuals facing real issues and real people. I hope to continue to make a living doing so, and to learn interesting things in the process. 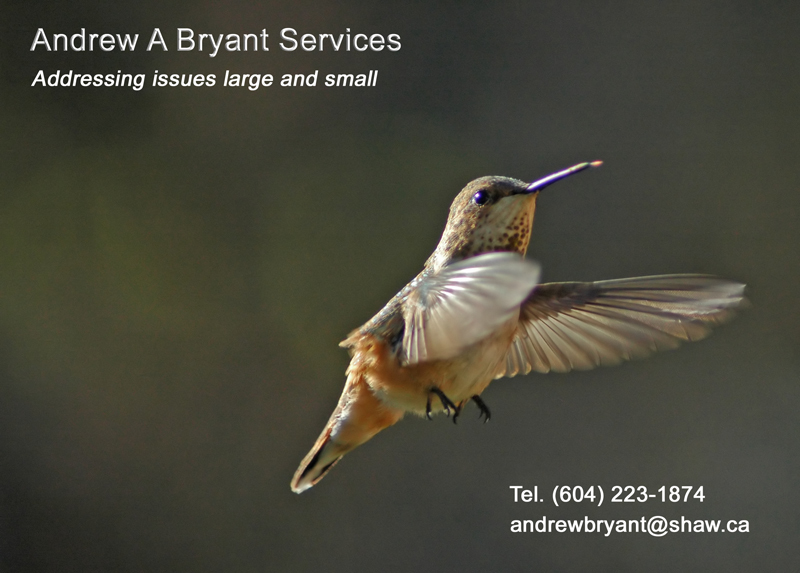 So what does Andrew A Bryant Services actually do? …what can I do for YOU? 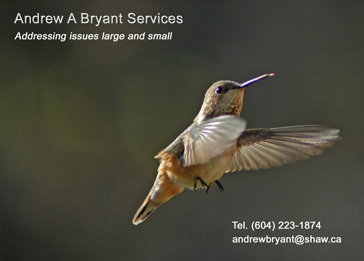 Andrew A Bryant Services is a sole proprietorship. I carry liability insurance, collect and pay taxes according to Canadian Law, and am registered with Worksafe BC.